Visual Evidence: Jeff Orlowski on "Chasing Coral"
When I first saw Jeff Orlowski’s “Chasing Coral” at its world premiere at Sundance 2017, I called it “a landmark film for activism.” Having seen it again for its current release on Netflix, (and having read Godfrey Cheshire’s 4-star review of the film), that sentiment remains true. More than just a documentary about how climate change affects the coral reef, “Chasing Coral” is a human adventure about a small group of charismatic coral nerds who want to share their passion for coral, while presenting the luminous beauty of the underwater ecosystem and the tragedy when a warming planet turns them to flat nothingness. 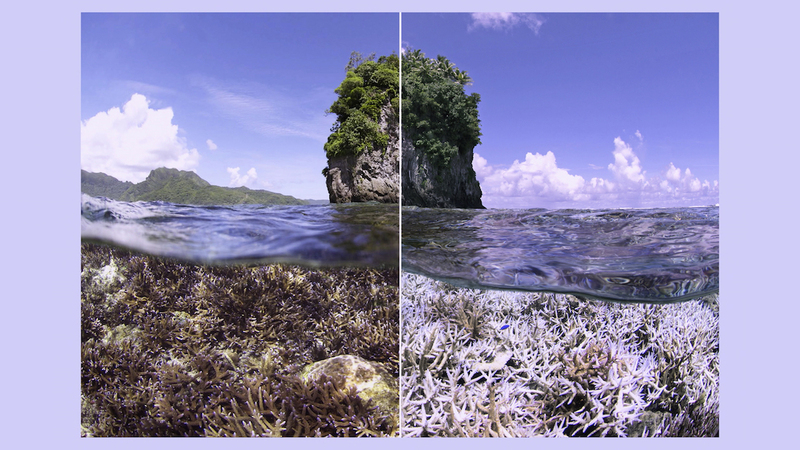 Like Orlowski’s previous documentary, “Chasing Ice,” the film wants to reach out to viewers using time-lapses and provide simple proof that a photograph cannot: here’s the coral reef in its glory, and day-by-day here are the effects of our current environment on it. The story of how Orlowski and company documented this change, through much trial-and-error, makes for a documentary that thrills with an emotional rollercoaster of a narrative, a great breakout "role" in the coral nerd Zack Rago, an ultimately hopeful tone, and undeniable evidence of climate change. RogerEbert.com spoke with Orlowski over the phone about his new film, the influence that Zack had on the project, making the project with climate change deniers in mind, and more. I assume you read the recent David Wallace-Wells New York Magazine article about global warming, “The Uninhabitable Earth”? Yes. I actually read chunks of it and skimmed it but didn’t read the whole thing. I was going to say that his tone in talking about climate change is completely different than yours. Your movie has a very hopeful tone, which I really like. I was wondering about your own personal stance on having a more idealistic, positive tone at the end, after showing such despairing, heartbreaking footage in your climax? Yeah, it’s interesting. I feel like, when I was reading through that [article] it didn’t seem super shocking to me, and I was surprised by the response from the public and the pushback. And my take on it is that there are things that are both a lot worse and a lot better than the average person thinks. I think the state of where things are and the trajectory of where the planet is going is far worse than the average person is aware of. However, at the same time, the solutions, the technology, the changes, the momentum, is also happening at a much faster pace than people think. NASA and Boeing are both working on hybrid planes and are working on fuel-cell power planes, there’s a company that has announced an electric plane that will fly completely carbon-free of battery power. These are huge, huge changes that are happening very quickly, and I personally believe that we’re very close to a tipping point. Tipping points, they take a long time to get to, but once you get to them, the change is swift. So, I feel like I am both pessimistic and more optimistic than the average person on this. And we wanted the film to represent that balance, so there’s still the struggle that people don’t realize how bad it is. So there’s still a little bit of, you need to slap people in the face with whats going on, and hopefully the images are providing this undeniable visual explanation of serious of this issue of the ocean, while at the same time keeping that optimism. We can do something about it, the time is now, and we can and we need to take action. As an activist documentary, it focuses on making it inclusive, and also having a narrative while creating information. It reminded me of “The Big Short,” where you’re trying to balance information and a certain type of entertainment and a personal angle, but this is in the documentary format. But I was curious as to when you were approaching this project what you were thinking about in terms of information, entertainment, and so forth. To get people to feel what you’re talking about. Exactly. That was 100% the goal. We didn’t want it to be a didactic talking heads … it was balancing information and story. And our objective in many ways was to minimize the amount of information and try to keep it as much as possible down to the minimum of information that you need to understand the story. We’re trying to build towards a time lapse in the reveal of the footage, and the only way the footage works its way emotionally is if you know and understand what corals are and why it matters. And what it looks like when a coral bleaches and when they die. And if we’ve taught enough of the basics of how important they are and what’s going on and what a dead coral looks like versus a living coral, and we show the time lapses, then it hits home. We’re trying to wrap all of that in a human narrative. I love that you mentioned “The Big Short,” I think about that film quite a bit because it’s a narrative film that has really quite complicated topics. And they pull it off so well and it’s entertaining. At first you’re like, “What’s going on?” but then it just becomes an amazing form and the technique they use to convey that information. I’ve still been thinking quite a bit about how to adapt that to other projects, just how do you make really challenging subjects engaging and entertaining? And that’s the goal. For us, we were able to, we got very lucky and fortunate with Zach’s story and Richard’s story, being able to feel this human narrative this human passion, and if an audience falls in love with corals through Zack’s eyes, then they’ll feel the same emotional response. And it’s important, he provides the enthusiasm that is not a turn-off. When Zack came aboard, did he change what you thought the project was going to be? Quite honestly, it took a while for us to see the potential of Zack’s story. On the very first trip, our approach from the beginning is that we were filming everything. So, on all of the trips we had cameras rolling as often as we could. And in one of the first trips to install the time lapse cameras, Zack was there and he started referencing the Latin names of the corals with the local scientists, and it was like, “Who is this kid?” I just took a back seat like, “Alright, Zack, figure out which corals we should document.” And there he was talking at such a different level. And that was the first hint, and then when the camera box got flooded and he was devastated, that emotional response was like, well this is great, in this odd, ironic way. And we just knew we wanted to keep filming Zack’s story and we were watching that unfold. And it was really when we were in Australia together when I saw, first fall, documenting absolutely this massive bleaching event and the tragedy that was, but more than anything seeing Zack’s emotional response to it and seeing how he felt and the pain that he felt. And that was really for me, showed the significant role that he could play in the story. And then it was after that when we filmed a little bit more of the backstory, and at this point I had known his work in the aquarium there and his knowledge there and his admiration for Charles Veron, that story that we could tie in with Charlie. 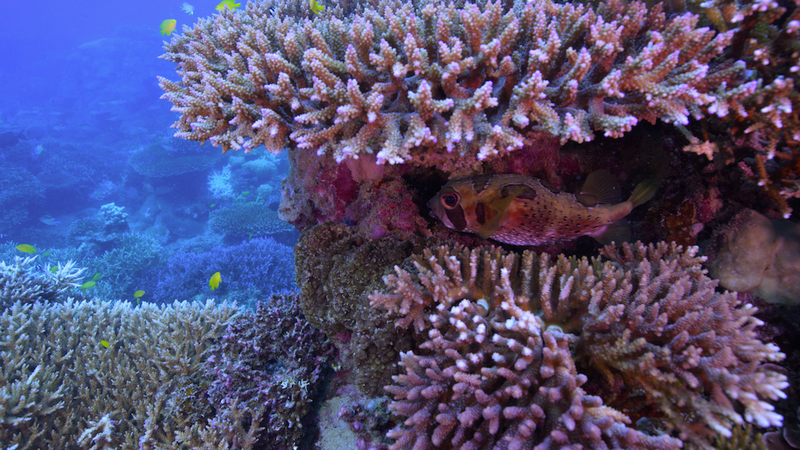 And then we went back when we did that aquarium shot and for him to explain why corals are so interesting. It’s just one of my favorite moments where he’s just referencing all of the Latin names and all of the corals. That one little moment does so much and says so much. And the movie becomes about the process of making the movie. When you’re in there working with Zack and everything is being filmed, are you thinking of a director first? Or do you let yourself to be there and you’ll get it later? I think it depends on different phases. I feel like the start of the project was much more of an exploratory, document everything, fly-on-the-wall, and other people that had cameras too that were filming me at times, everyone just capturing what we could. And then as the production went on and we saw what the story potential was, then it became much more of, “Alright, this is what we’re looking for, that’s what we’re looking for,” and so what I also found at that stage is tat I knew Zack really well, and for that shoot in particular in the coral aquarium, brought in our editor with us. And Zack didn’t know Davis [Coombe] that well, so we had Davis asking Zack questions, or I asked Zack to explain certain things to Davis, and it kept the conversation very fresh so that he was genuinely explaining it to someone he didn’t know very well. And it’s a good visual as well. And the goal there, it is visual storytelling. That is the medium, that’s what this medium does best. Yes, you can do an essay in a motion picture, but if you can do a visual story it’s that much more meaningful and compelling. For me, some of my proudest cinematography ... they’re really small things but the visual juxtaposition of Zack going out on the Great Barrier Reef and seeing it for the first time, and then the returning home later where he’s just sad and depressed and looking out the window, you see him on two different flights and his body language, his visual language is completely different. You don’t need words, you don’t need talking heads. You’re seeing his emotion and you’re seeing that story through that frame. 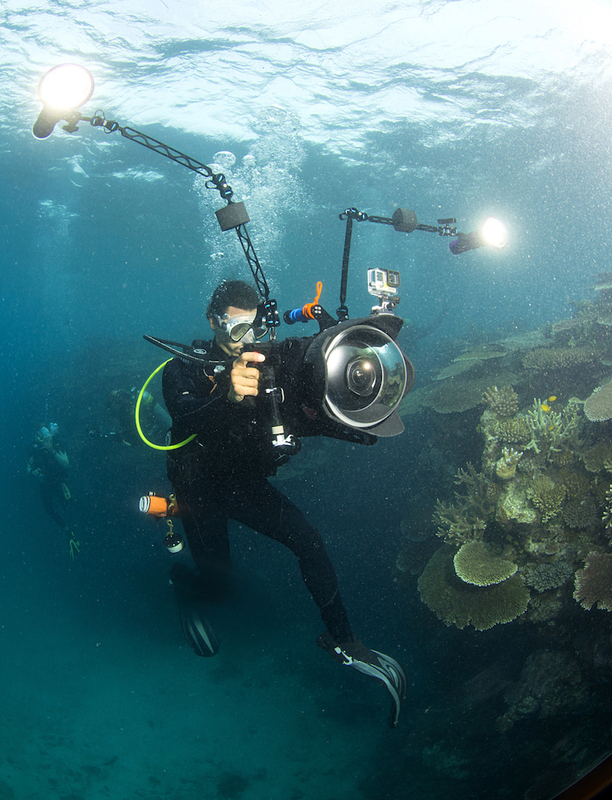 The same way that a lot of the movie’s power is in match cuts or time lapses with the reef. Using storytelling without words. It’s an exciting value you have. You mentioned minimizing information, I’m curious if you had certain cuts of the film where there was too much? How did you find that balance of information and narrative? So, the entire process for me is a huge, is like a multi-year research project, and when we got into it I knew very little about coral reefs and very little about the ocean. And as best as possible, whenever I learned something that felt insightful, really trying to latch onto that and remember not just the insight but the fact that it felt insightful, so as we were doing the editing, really trying to build that list of, "Oh, that time Richard said that thing comparing climate change to body temperature, and your body temperature rising, and I find that as you become more knowledgeable of the subject, you sort of lose a sense of what the special," what the genuine first impressions were. That was one thing where we really tried to tap into those things that made the lightbulb go off in your head, so I don’t know, it’s really one thing that’s sort of tricky. And the bigger thing for me was test screenings. We did many, many test screenings and we would screen the film and we would ask “Did you understand this section? Did it make sense, was it clear?” And really getting a sense of what dragged along and what did and didn’t work. And that turned out one of the most valuable things and defines the balance of the timing of everything. But also really, working very hard, we had some amazing animators on the project, and working with them to help use graphics and animation to illustrate the point that we were trying to illustrate, I am so, so thrilled with the animation team, they’ve done an amazing job. In retrospect it looks so simple, here’s this chart or whatever. But there’s countless hours going into each one of them, making sure that we’re hitting the point that we are trying to hit. Did you have researchers check everything over? We had the film fact-checked many times by a time of scientists, so we were doing everything repeatedly and making sure things they were accurate enough. And there were times where we were trying to explain complicated concepts and trying to simplify them but make sure we are not oversimplifying them. And there were multiple times where we had to go back and make many edits just to correct inaccuracies that we didn’t know much about corals at the time, stuff like that. It’s effectively a peer-reviewed film. The film believes in a cause but is trying to be as open and as empathetic as possible. You have welcoming characters. Are you making this movie and thinking explicitly about anybody, about who you can grab? We’re actually thinking about deniers when working on the film. I think there are a lot of films about climate change that treat deniers … let me think of how to word this … I think there are a lot of films that are made for the choir, for the audiences that already engage with this stuff, and that’s not going to make as much as a difference as much as you can make with content for audiences who are skeptical. And, so we just want to be very sensitive to them. I certainly hope that there’s nothing in the film that really turns someone away. We were being really cognizant of audiences that don’t think this is real, and wanting them to be able to embrace the film. Your idea of information, or your thesis, is distilled to the idea of photographs. It’s not you going to different locations by saying “look at this power plant.” That’s how people will listen. This is one of the biggest things that I’ve learned from James Balog, because he always called the time lapses “visual evidence.” That word evidence, it’s so critical. And it’s like, “OK, I can show you a picture of a hurricane, but that’s not evidence of climate change. But the time lapses of the glacier over time watching them retreat, that’s telling a story.” To the point where actually there is a lawsuit happening right now where 21 youths are suing the federal government over climate change. And in the lawsuit they’re actually using our footage from both “Chasing Ice” and “Chasing Coral.” It’s pretty exciting.